FAIRFAX, Va. – Sheet Metal Workers Local No. 20 hosted more than 30 apprentices during the ninth annual Indiana Apprenticeship Competition in Indianapolis April 8-9. Students from across the state competed in heating, ventilation and air conditioning (HVAC); testing, adjusting and balancing (TAB); industrial/welding; service; and architectural. Students were awarded first through third place prizes at a ceremony on April 9. In the HVAC division, first place was awarded to Mark Ballard of Evansville, with second place going to Brent Hoag of Gary, and third place to Tyler Little of Terre Haute. Jacob Pauwels of South Bend won first place in the architectural division for the third consecutive year, with Matt Pruiett of Evansville taking second and Aaron Carter from Gary in third. In the industrial/welding division, Tony Coen of Gary earned first place, with Nick Marshall of Terre Haute in second and Chris Maggart of South Bend in third place. Zach Smith of Indianapolis earned first place in the service division, with Michael Besse of Gary in second and Jared Handlin of Terre Haute in third. In testing, adjusting and balancing (TAB), Will Gillespie of Indianapolis won first place, with Josh Ribar of Gary in second place. There was a tie for third place in this division between Keaton Sumner of Terre Haute and Joey Haygood of Lafayette. Nearly 10,000 apprentices are registered at more than 150 other training facilities across the United State and Canada. The International Training Institute (ITI), the education arm of the unionized sheet metal and air conditioning industry, provides the curriculum for the training and also provided test questions and projects for the Indiana state competition. “It is important to the ITI to encourage these types of local or regional competitions that gauge apprentices based on what they are learning and competing with across the country. The curriculum is consistent, and testing students in this way continues to show solidarity in education,” said Mike Harris, ITI program administrator. “It’s also insurance for the apprentices they can stand with their peers across the country and Canada and know they’re learning the same skills. Coen, a two-time winner, used the competition as a growth opportunity, to become a better tradesman – an element to the competition everyone walks away with, whether or not they realize it, he said. Gillespie competed last year and placed second, so this year, he was focused on the top prize. But it didn’t stop him from collaborating with his competitors during breaks on difficult questions. The ITI is jointly sponsored by SMART, the International Association of Sheet Metal Air, Rail and Transportation Workers (formerly the Sheet Metal Workers’ International Association) and the Sheet Metal and Air Conditioning Contractors’ National Association (SMACNA). 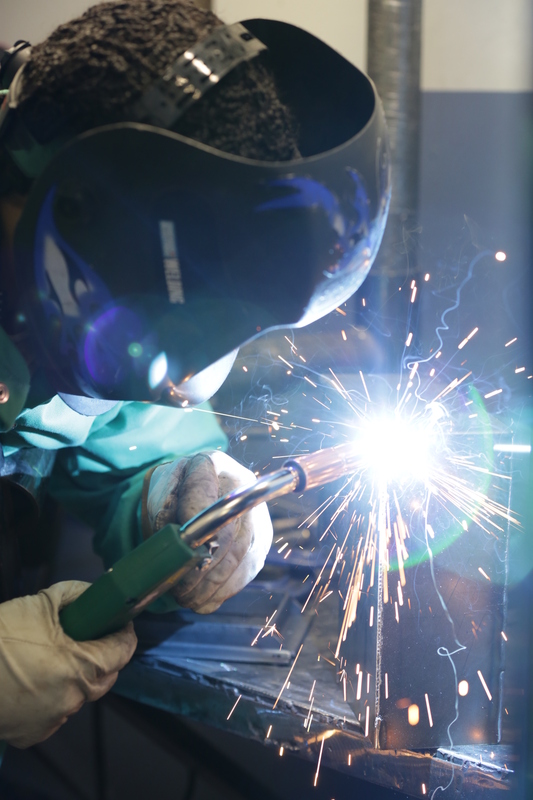 ITI supports apprenticeship and advanced career training for union workers in the sheet metal heating, ventilation, and air conditioning (HVAC), welding and industrial, architectural and ornamental, and service and testing, adjusting and balancing industry throughout the United States and Canada. Headquartered in Fairfax, Virginia, the ITI develops and produces a standardized sheet metal curriculum supported by a wide variety of training materials free of charge to sheet metal apprentices and journeymen. For more information about ITI and its available training curriculum for members covering sheet metal trade work, visit sheetmetal-iti.org or call 703-739-7200.